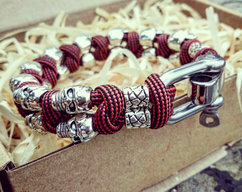 This custom bracelet "VIKING POWER" is made of a paracord with a clasp of stainless steel "Thor's Hammer" and six metall beads with runes. This bracelet contains a spell on well-being. 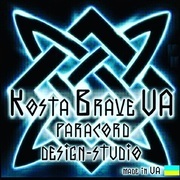 In the bracelet set runic formula for well-being and increase its strength. 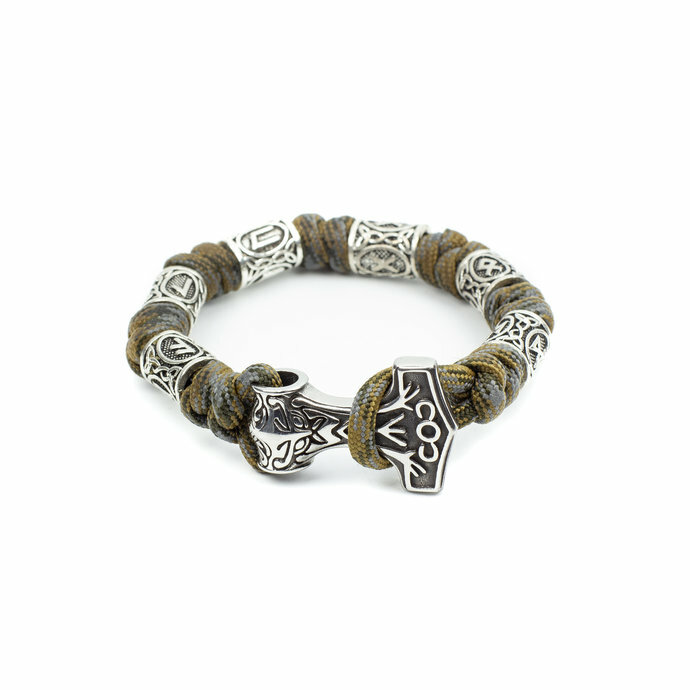 For this kind of magic, the formula from runes is used: "Ansuz", "Laguz", "Uruz", "Gebo", "Otal", "Dagaz"
The r bracelet "VIKING POWER" will be a great gift for men and women who prefer trendy and stylish accessories, Viking style and Scandinavian jewelry. This bracelet will accentuate your style. It will also be a great gift for a husband, a gift for a friend, colleague at work or a teammate. Are you looking for a birthday present, a Christmas present, a bachelor party present? 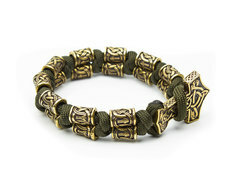 If you need a magic bracelet "VIKING POWER" - then you found it. 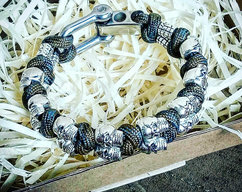 The original bracelet is made in camouflage colors. If your lifestyle is an adventure, and now you look at my bracelet, it should be yours. Do not waste time, just order it right now. 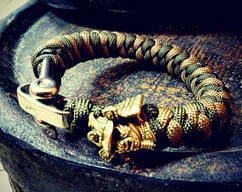 Do you have a "VIKING POWER" bracelet?